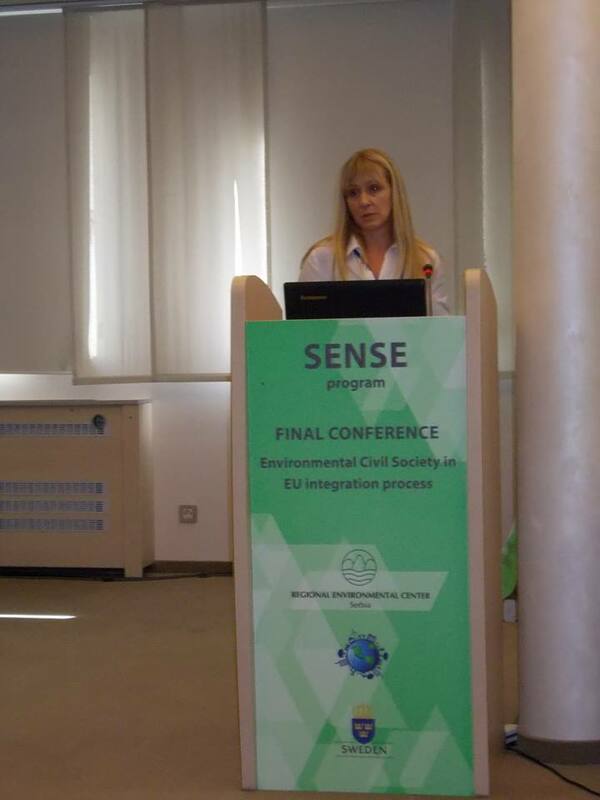 Final Conference “Civil Society in the field of environmental protection in the process of EU integration”, within the SENSE program of the Regional Environmental Center (REC) in Republic of Serbia was held from 29 September to 01 October 2015 in Nis. The Conference presented the results of SENSE Program and projects funded during the two rounds of grants. A representative of the Union of ecologists, leading organizations outside the consortium that have implemented the project “Dialogue for the prevention of natural hazards”, Sladjana Djordjevic presented all results of the project which was implemented in the second round of awarding grants, over the period August 2014 – June 2015, as part of a session planned for presenting the results of the funded projects. Na konferenciji je predstavljen i program “Evropa za građane” (Europe for Citizens) za period 2014-2020. During the Conference, program Europe for Citizens for the period 2014-2020 was presented.